Easter is probably the oldest Christian celebration aside from the Sabbath, it wasn’t always the same as what people currently think of when they look at Easter services. 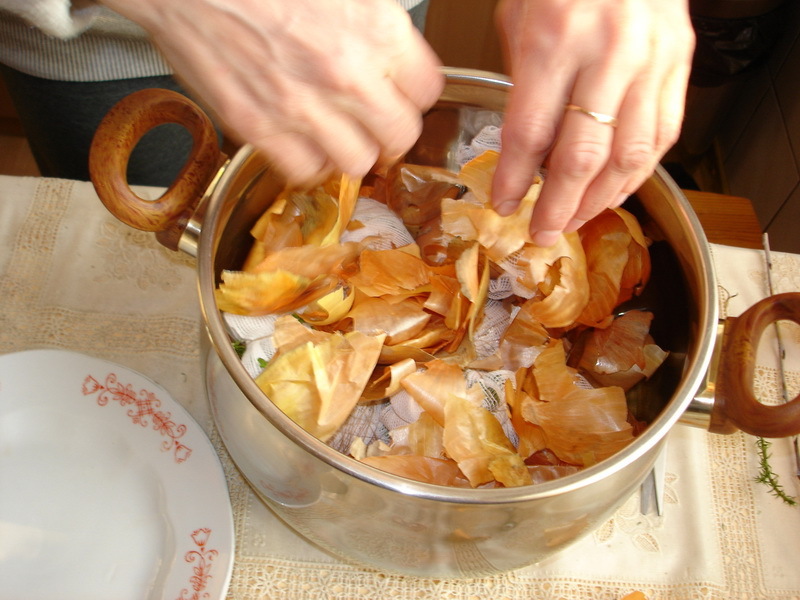 The earliest known observance, Pasch, occurred between the second and fourth centuries. These celebrations commemorated both Jesus’ death and his resurrection at once, whereas these two events have been split up between Good Friday and Easter Sunday today. The Easter Bunny is not a modern invention. The symbol originated with the pagan festival of Eastre. 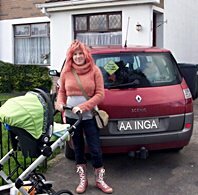 The goddess, Eastre, was worshipped by the Anglo-Saxons through her earthly symbol, the rabbit. 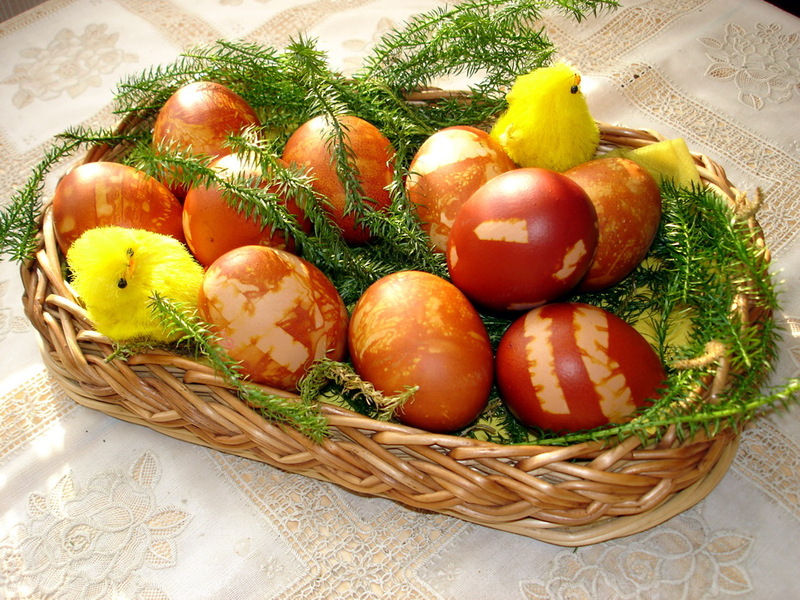 In fact, Easter itself was not widely celebrated in America until after that time. As with the Easter Bunny and the holiday itself, the Easter Egg predates the Christian holiday of Easter. The exchange of eggs in the springtime is a custom that was centuries old when Easter was first celebrated by Christians. From the earliest times, the egg was a symbol of rebirth in most cultures. 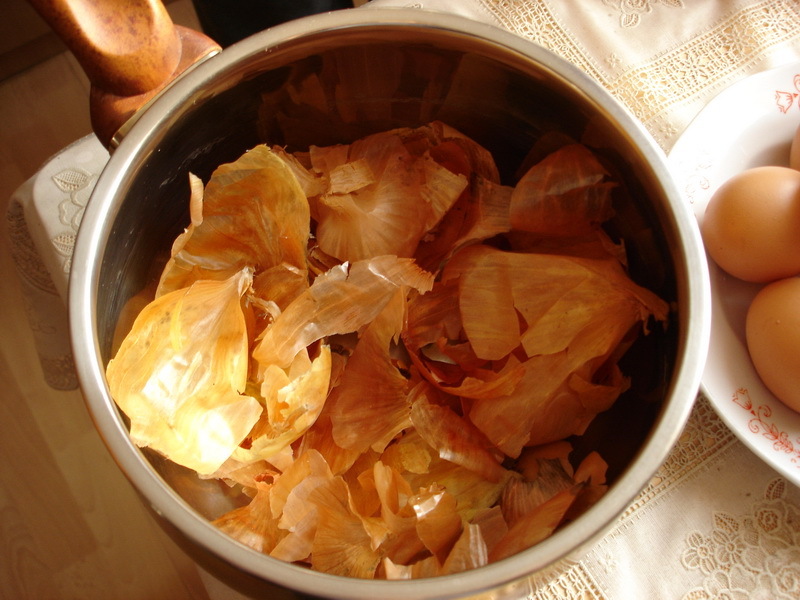 Eggs were often wrapped in gold leaf or, if you were a peasant, colored brightly by boiling them with the leaves or petals of certain flowers. 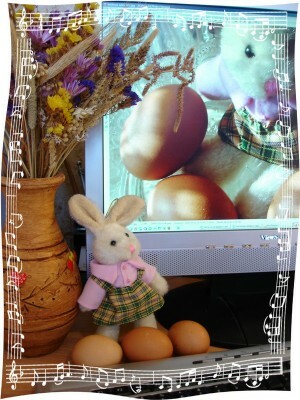 Of all the symbols associated with Easter, the egg – the symbol of fertility and new life – is the most identifiable. 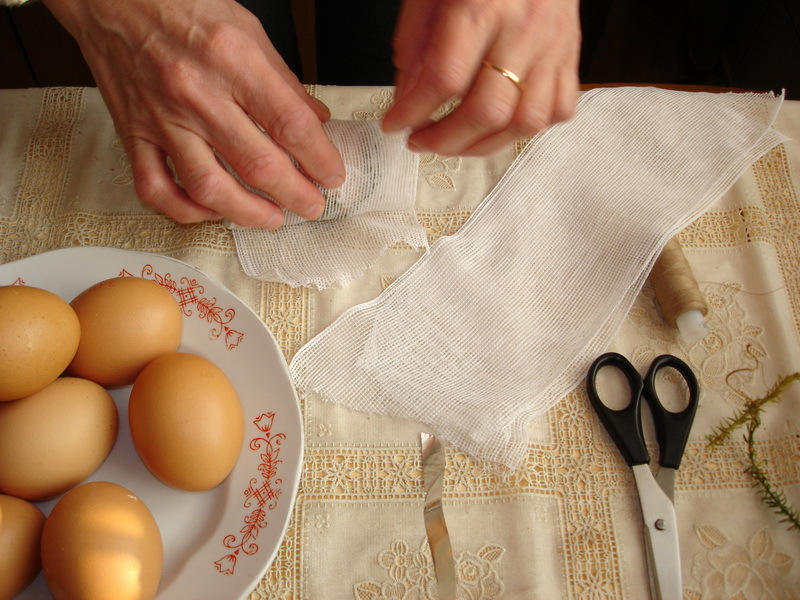 The customs and traditions of using eggs have been associated with Easter for centuries. Eggs have been used to represent rebirth and new life for hundreds of years with many customs dating back to pagan traditions. In some cultures legend states that the Earth itself hatched from a giant egg. In the past, eggs were forbidden food during Lent so Easter Sunday became the traditional time to start using them again. This led to many people giving eggs, usually decorated, to their friends and servants. 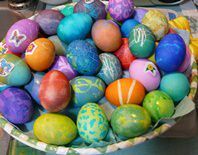 Originally Easter eggs were painted with bright colours to represent Spring and were used in Easter-egg rolling contests or given as gifts. After they were coloured and etched with various designs the eggs were exchanged by lovers and romantic admirers, much the same as Valentines. 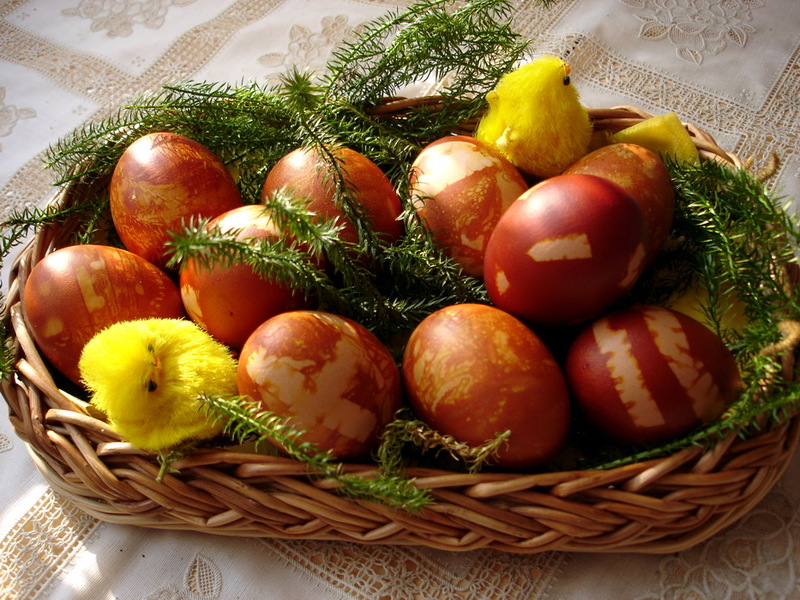 In medieval times, eggs were traditionally given at Easter to the servants. 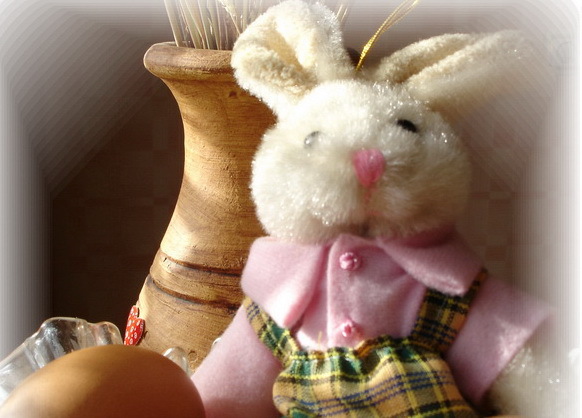 In Germany eggs were given to children along with other Easter gifts. 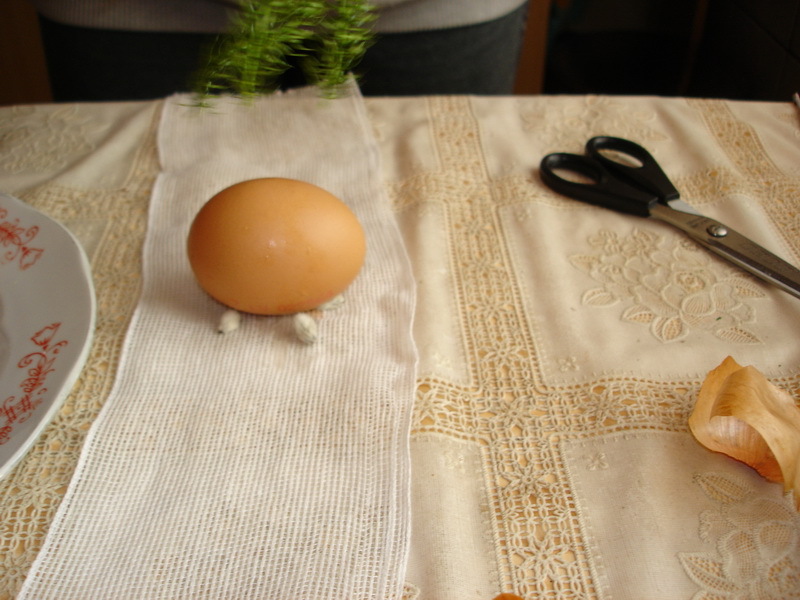 Different cultures have developed their own ways of decorating Easter eggs. 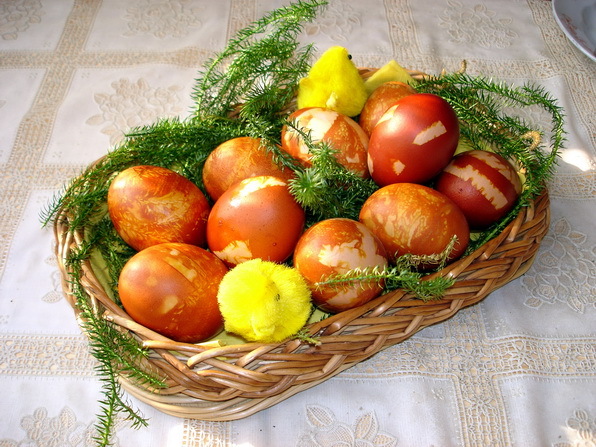 Crimson eggs, to honour the blood of Christ, are exchanged in Greece. In parts of Germany and Austria green eggs are used on Maundy Thursday (Holy Thursday). 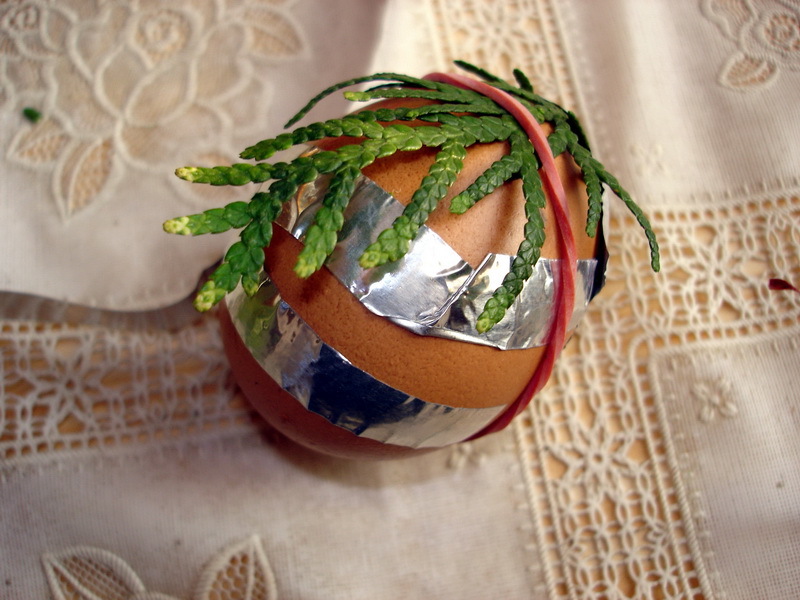 Slavic peoples decorate their eggs in special patterns of gold and silver Austrian artists design patterns by fastening ferns and tiny plants around the eggs, which are then boiled. 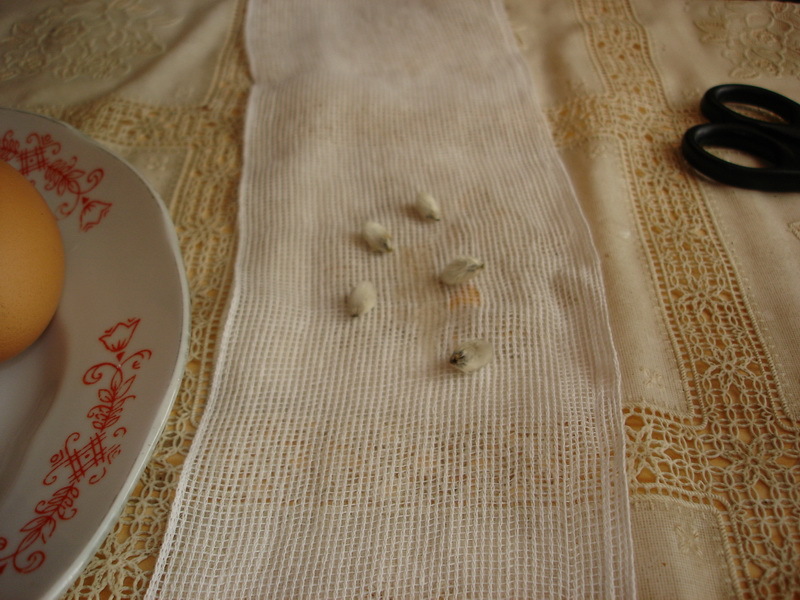 The plants are then removed revealing a striking white pattern. 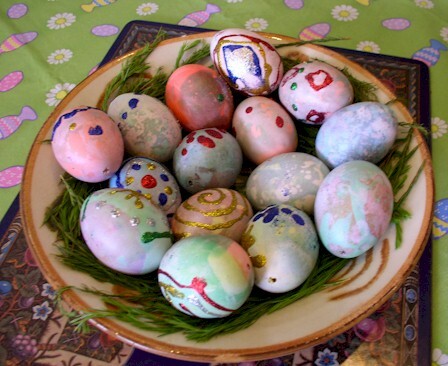 The Poles and Ukrainians decorate eggs with simple designs and colours. 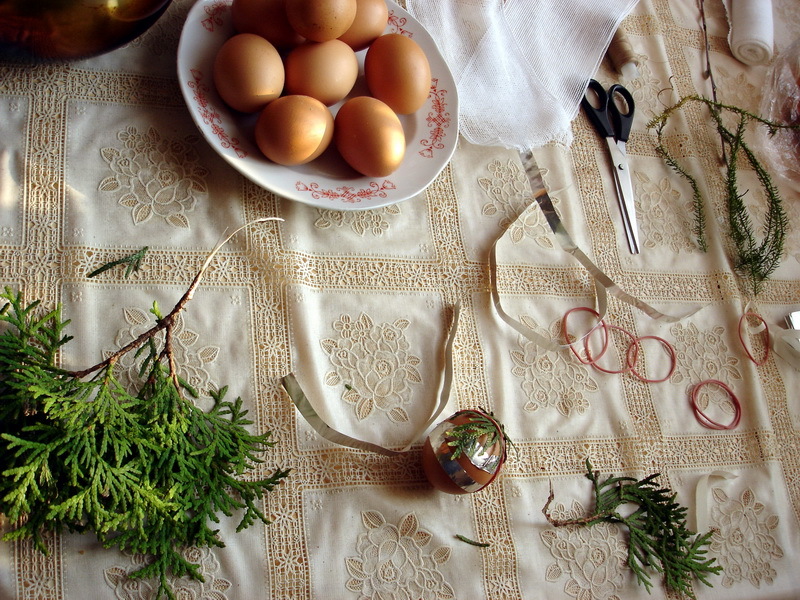 Pysanki eggs are a masterpiece of skill and workmanship. 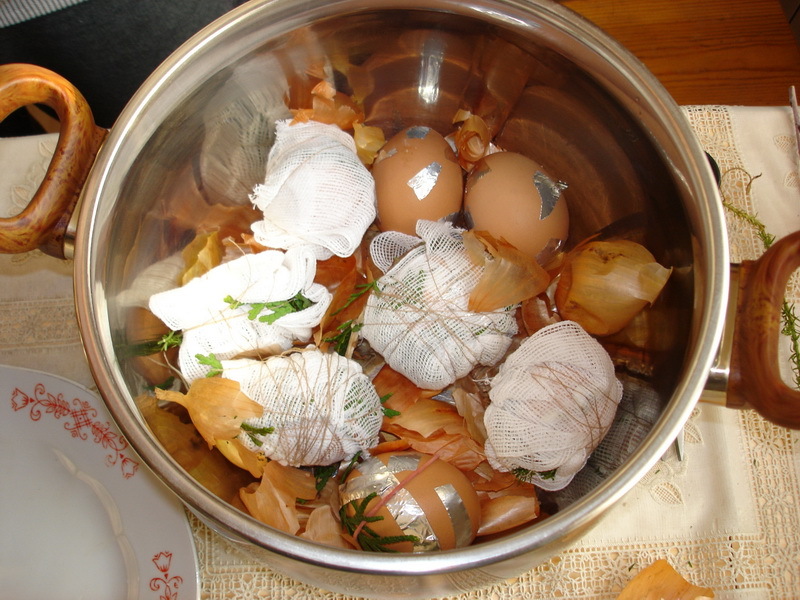 In Germany and other countries the contents of eggs are removed by piercing the end of each egg with a needle and blowing the contents into a bowl. On Easter morning children search for the eggs that the Easter Bunny has hidden while they were asleep. 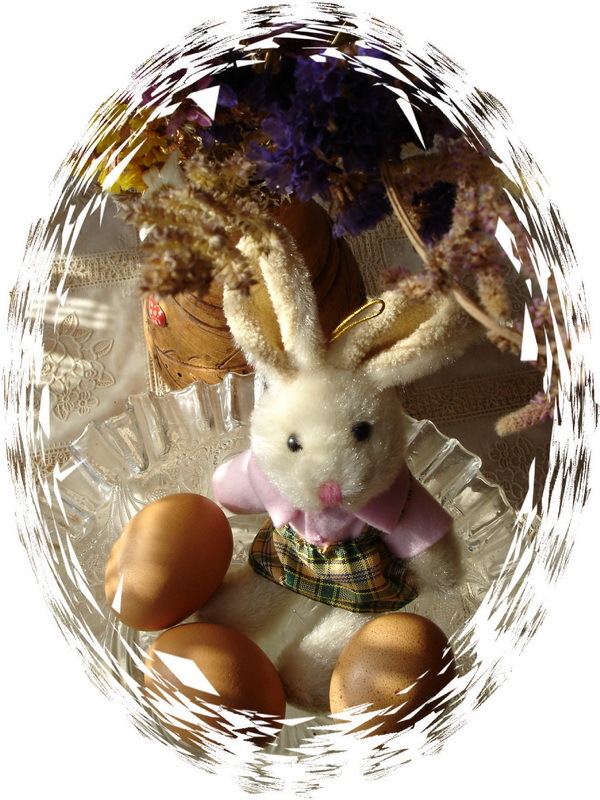 Eggs are hidden throughout the house or garden and sometimes there will be a special prize for the child finding the most eggs. 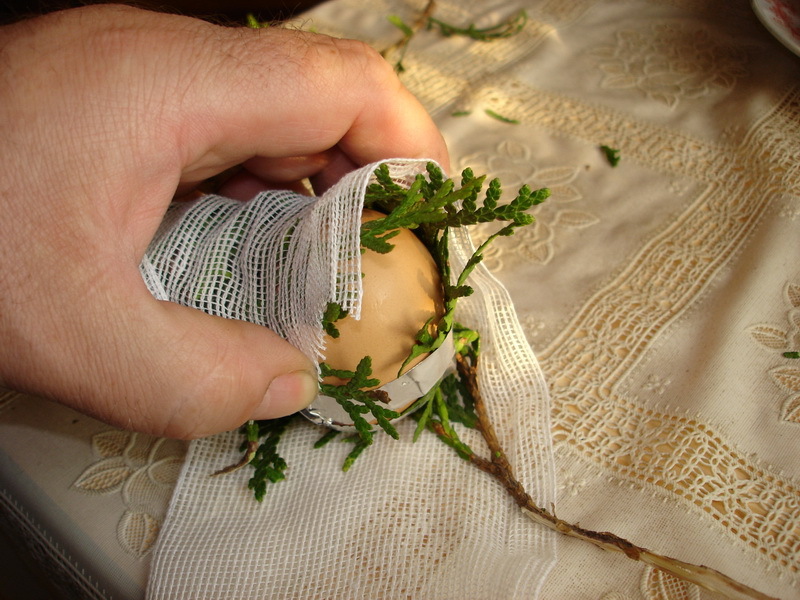 Eggs are rolled downhill as a symbol of the stone being rolled away from the tomb where Jesus was laid. The rules of an Easter Egg Roll are to see who can roll an egg the greatest distance or can roll their egg without breaking it, usually down a grassy hillside or slope. One of the most famous egg rolling traditions is held on the south lawn of the White House on Easter Monday. This dates back to 1878 when President Rutherford B Hayes allowed children to have access to the lawns. They brought their own baskets and eggs and enjoyed simple games, including the rolling of a hard-boiled decorated egg across the lawn. The President, First Lady and other celebrities traditionally greet the children, who receive collectible wooden eggs at the end of the day. Today, children hunt colored eggs and place them in Easter baskets along with the modern version of real Easter eggs — those made of plastic or chocolate candy.